It doesn’t take long for mold to infest a property. In fact, within 24-48 hours of being exposed to moisture, mold spores can begin to flourish throughout a home or business. Most of the time mold grows when water damage restoration hasn’t been administered after a flood or leak has invaded a property. Fortunately, the mold removal experts at 911 Restoration of Central Arkansas are qualified to implement services to clean up mold and repair any water damage that may be present. The mold removal team in Little Rock is IICRC certified, so you can completely trust in their ability to turn your property back into a clean, safe environment. Keeping your property healthy is the most important aspect of the job, which is why we urge you to call us if you have the slightest feeling that mold may be lurking somewhere in your property. 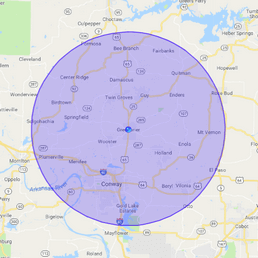 To keep you from feeling like you are taking a financial risk when you work with 911 Restoration of Central Arkansas, the Little Rock crew provides free visual inspections for property owners. 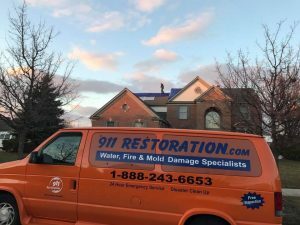 We provide mold removal and water damage restoration for both commercial and residential properties, so gives us a call the moment you realize you need our restoration services. 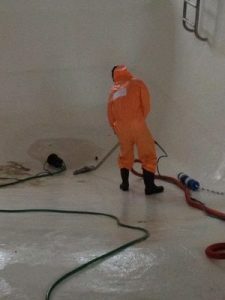 Water damage restoration is an integral part of a thorough mold removal job, so being able to rely on a company that can administer both will give you the best chances of preventing future infestations. If a flood or leak creates water damage in your home or business, and that moisture is left to stagnate for at least a day or two, then mold can begin to grow. By providing structural drying and dehumidifying services, the water damage restoration team can make sure that every drop of moisture is removed from the premises. The drier your property is, the fewer chances there will be of mold infesting the area. If you take precautions to stop condensation and leakage from persisting, then you will most likely prevent a mold infestation. Nevertheless, even the most attentive property owners may need mold removal services at some point, and when you do you can call the highly trained technicians at 911 Restoration of Central Arkansas to provide you with the peace of mind you need to move on from mold. Certain species of mold and fungi that are found indoors can be hazardous to the health of those who are exposed to the spores on a regular basis. 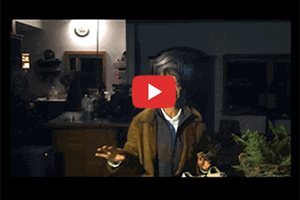 The only way to determine exactly what type of mold is growing inside of your business or home is by taking samples of the mold and sending them to be tested. The Little Rock technicians always send the mold samples to third-party laboratory mold testing centers to keep you feeling confident in the neutrality of our services. By getting hazardous mold out of your property as quickly as possible, the chances of you feeling the effects of the species will be greatly reduced. Sometimes mold can cause allergy symptoms, while more dangerous molds can induce respiratory infections and internal bleeding. The mold removal specialists know exactly how to clean up any type of mold safely, disposing of it in the proper way to keep everyone safe. 911 Restoration of Central Arkansas is a company that cares and understands your needs, so give us a call today.